The best thing about bath bombs is that they turn our bathwater into a fizzing pool, making our bath a whole lot of fun. And I don’t know why, but watching a bath bomb fizzle away is intensely satisfying. 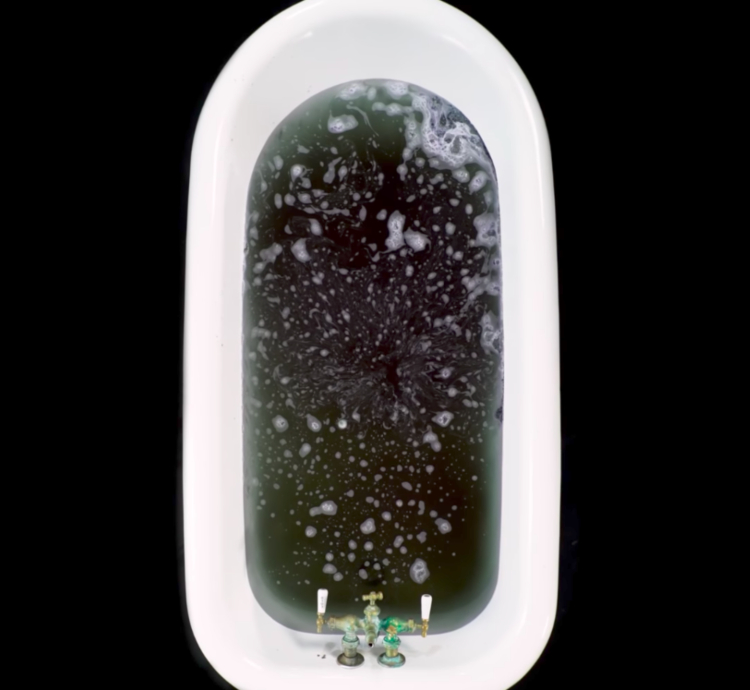 It is just amazing how something as small as Lush’s intergalactic bath bomb (weighing around 5.6 oz) is capable of wreaking havoc in our bathwater. It weighed a staggering 2000 lbs and had a dia of around 5 feet. Preparing this giant bomb wasn’t an easy task at all. For starters, the group needed thirty-one bags of ingredients with each bag weighing 50lb. 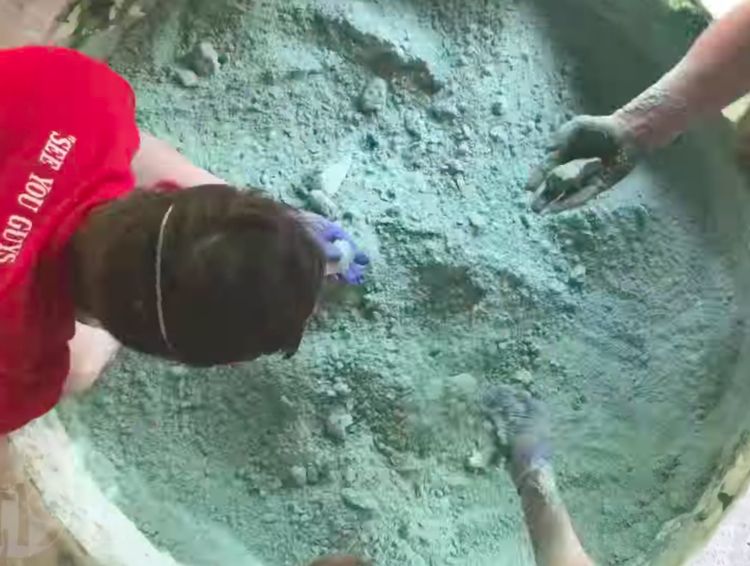 The team then tossed ‘one part corn starch, one part citric acid to two parts baking soda’ in a cement mixer. They also added dyes to change the color of the mix. The process wasn’t only hectic but also very time-consuming. The gang had to prepare multiple batches which were then layered over and over again inside a semi-spherical mold. And with all this effort, they only made one half of the bomb. The semi-spherical bomb was then taken outside to bake solid from the sunlight before they started preparing its second half. 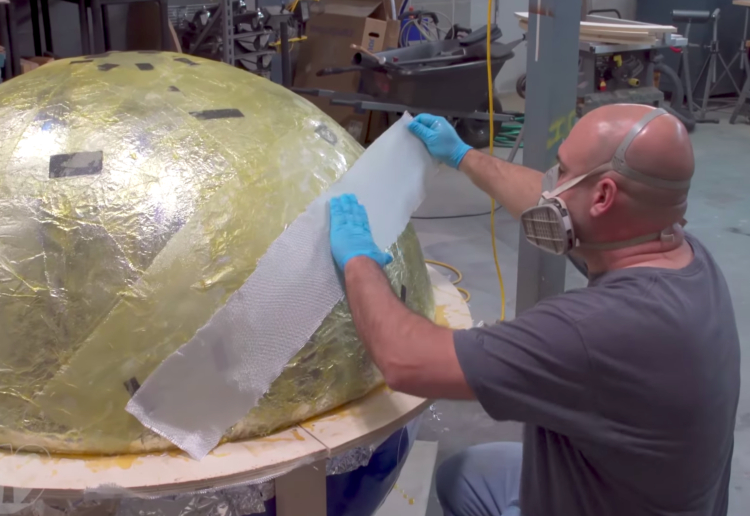 After it had consolidated and dried, the mold was drilled away by the team, revealing a colossal bath bomb. Their tireless efforts paid off when the massive bomb was rolled into a swimming pool. It fell into the water with a huge splash before slipping below the surface and fizzing just like the small bath bombs we use in our bathrooms. 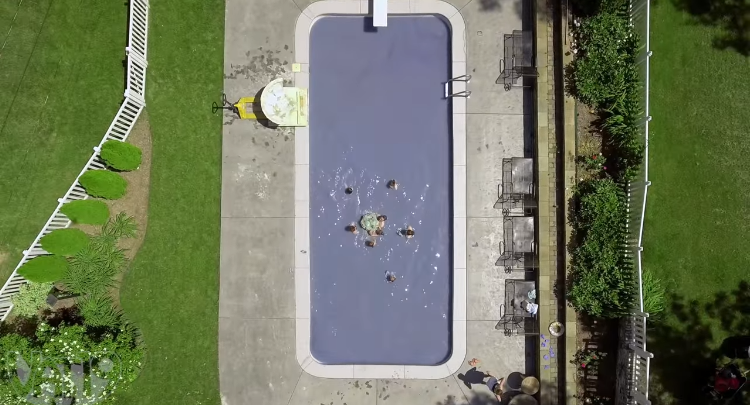 And it didn’t take long for the massive bath bomb to work its magic – filling the entire pool with color and bubbles – and enable the gang to enjoy a super fun pool party. The video showing the whole process, as well as the fun they later had, was viewed by millions of the internet users. It also inspired many people to try out similar experiments. However, there were also many people who opposed the whole idea, arguing it will just ruin the pool. ‘I hate it pools require so many chemicals, who is going to clean this, what is wrong with you,’ a Twitter user wrote.